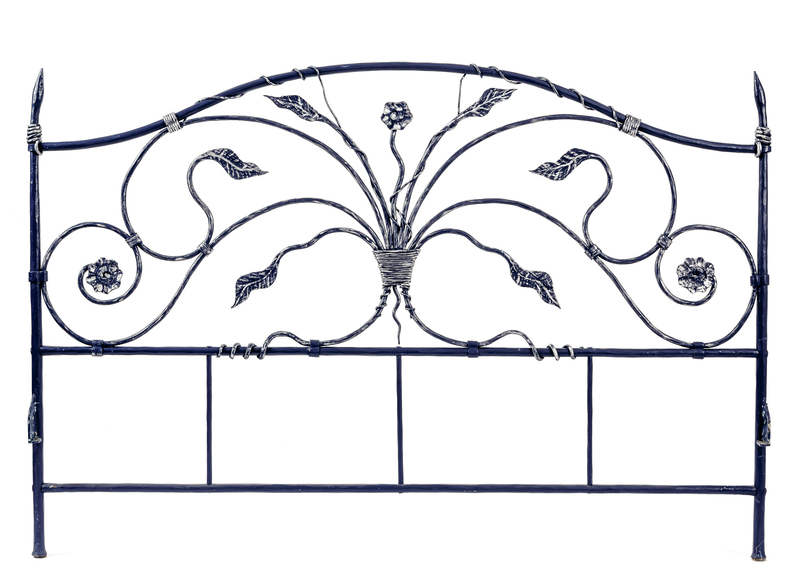 The fine wrought iron headboard has a non-traditional design, crafted by the artisan with motifs of sinuous stems in a refined composition of leaves and flowers. This exclusive fireplace tool set is elegantly shaped, made in wrought iron with a deer-head detail, expertly crafted with sculptural technique. 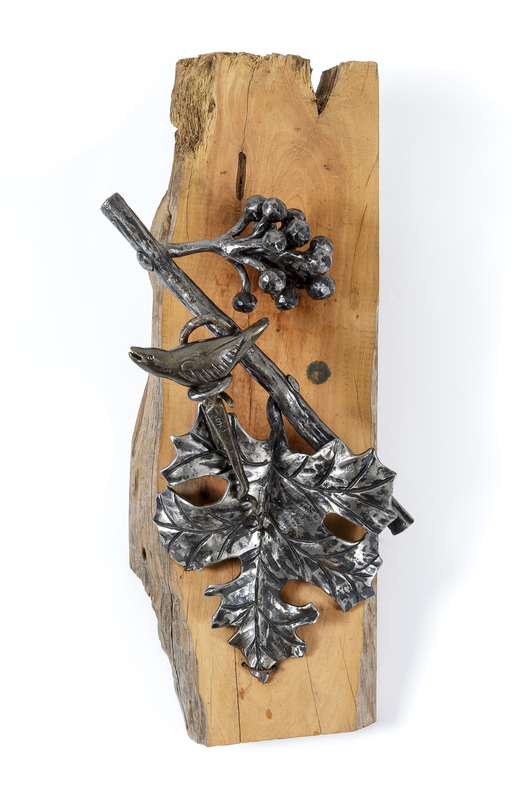 This artistic and functional object, with a carefully sculpted wrought iron element, contains the original corkscrew element in the shape of a bird, perched on a grape vine with a bunch of grapes. 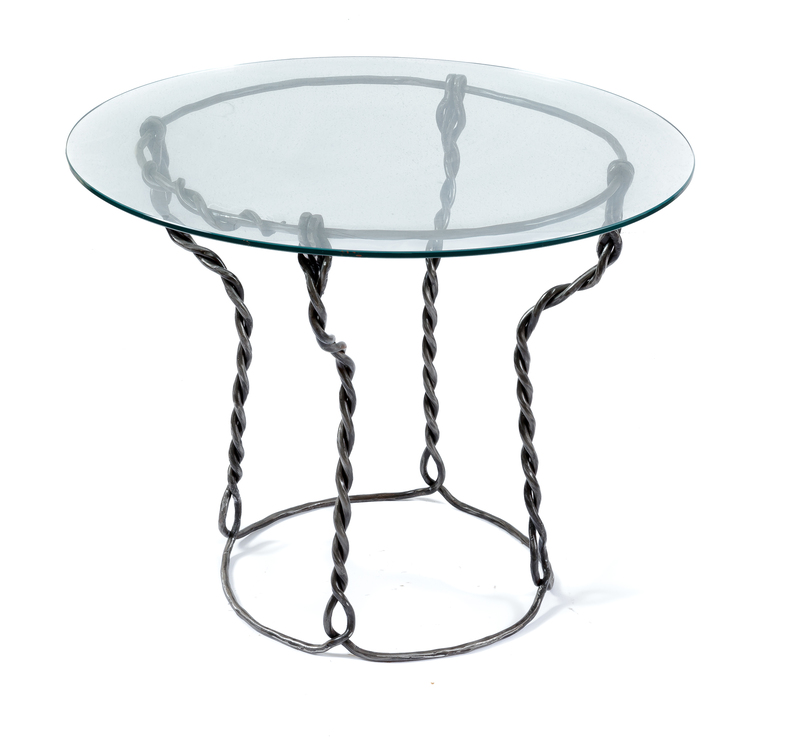 This original hand-forged table reproduces with technical virtuosity the minimal shape and the flowing twisted movement of the iron wire that holds the champagne cork in place. Forged entirely by hand, it reflects the creative bent of this blacksmith. 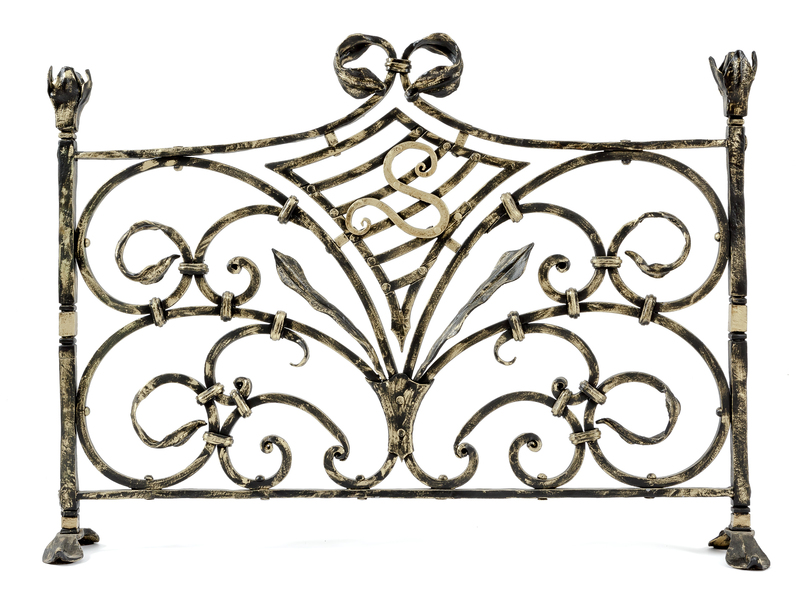 Of great aesthetic value, this fireguard is made of wrought iron with complex elegant handcrafted spiral and leaf motifs. Entirely handcrafted, assembled without welding, it is produced as a unique artefact with original details. Antonio Maria Scanu’s Officina d’Arte Fabbrile in Benetutti, a village in central Sardinia, is renowned internationally for the prestigious craftsmanship of wrought iron, worked with artistic and sculptural traits using purely artisanal procedures. Antonio uses wrought iron as an expressive medium to create pieces of art that take on articulate, complex forms of particular technical and artistic virtuosity. Son of the local blacksmith, he learned the techniques of the craft in the family smithy, where he started creating the typical wrought iron artefacts according to the traditional style and technique. Naturally talented and strongly motivated, he perfected and enriched his skills through specialisation courses in Stia, Tuscany and in Vittorio Veneto, northern Italy, both being centres renowned for their artistic blacksmith tradition, where he learned and refined sculptural shaping procedures. He received several international awards as an art blacksmith thanks to his sensitivity and mastery. Antonio Maria Scanu works on numerous and prestigious projects for an international clientele, realising large-scale, complex works which stand out for the fine manual technique and which are destined for a clientele appreciative of excellent and unique craftsmanship. The wrought-iron production of Antonio Maria Scanu includes a wide range of artefacts: gates, gratings, railings, balconies, elements for lighting, stairs and numerous home décor accessories which are crafted with artisanal mastery and creative flair, resulting in products of great aesthetic value. This functional line is complemented by pieces of art and sculptures which testify the technical virtuosity and inventiveness of this master blacksmith. The hot iron is entirely forged and hammered by hand by Antonio Maria Scanu using hammer and anvil.